SFPM – Apply – Sports Fields Inc. 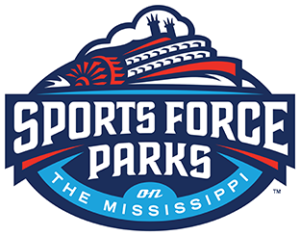 Opening in Spring of 2019, Sports Force Parks on the Mississippi will feature professional-level synthetic turf fields, on-site recreation and entertainment options, and high quality concessions. Thank you for your interest in becoming part of our team. We are always looking for good people to bring the highest level of customer service to visitors of our newest park. Please complete the form below. We will be in touch as soon as possible. The following form is for those individuals that are interested in all our available park positions. If under the age of 18, you may need to furnish a permit in accordance with applicable state child labor laws. SPORTS FORCE PARKS, FIELDS MAINTENANCE, SPORTS FIELDS, takes pride in recruiting and retaining quality employees. It is our practice to conduct background screens in connection with seasonal/permanent part-time and permanent full-time employment with the company. A screen may include, but is not limited to, criminal and credit history, drug testing and other elements of one’s background. SPORTS FORCE PARKS, FIELDS MAINTENANCE, SPORTS FIELDS, follows proper documentation and process in compliance with the Fair Credit Reporting Act. I certify that the information contained in this application is correct to the best of my knowledge. I understand that to falsify information is grounds for refusing to hire me, or for discharge should I be hired. I authorize any person, organization or company listed on this application to furnish you any and all information concerning my previous employment, education and qualifications for employment. I also authorize you to request and receive such information. n consideration for my employment, I agree to abide by the rules and regulations of the company, which rules may be changed, withdrawn, added or interpreted at any time, at the company’s sole option and without prior notice to me. I also acknowledge that my employment may be terminated, or any offer or acceptance of employment withdrawn, at any time, with or without cause, and with or without prior notice at the option of the company or myself.